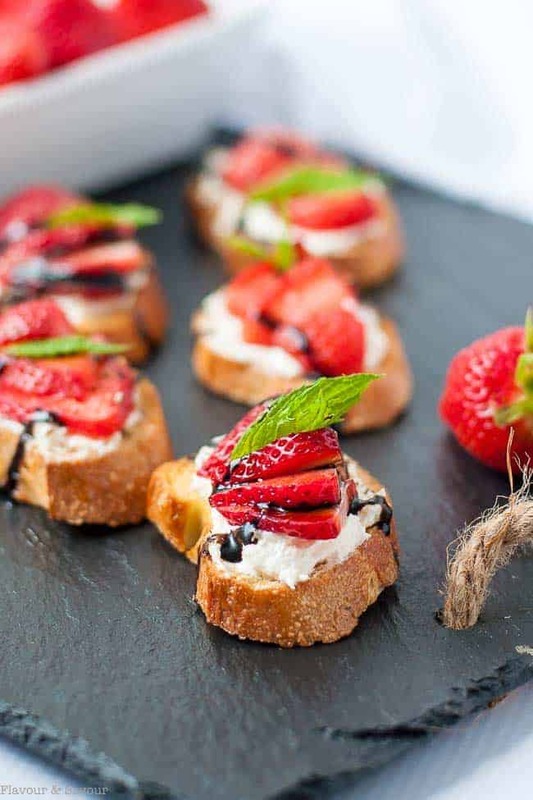 Avoid common mistakes by following these 5 tips for making perfect crostini appetizers your guests will love! Finger foods are fun foods! 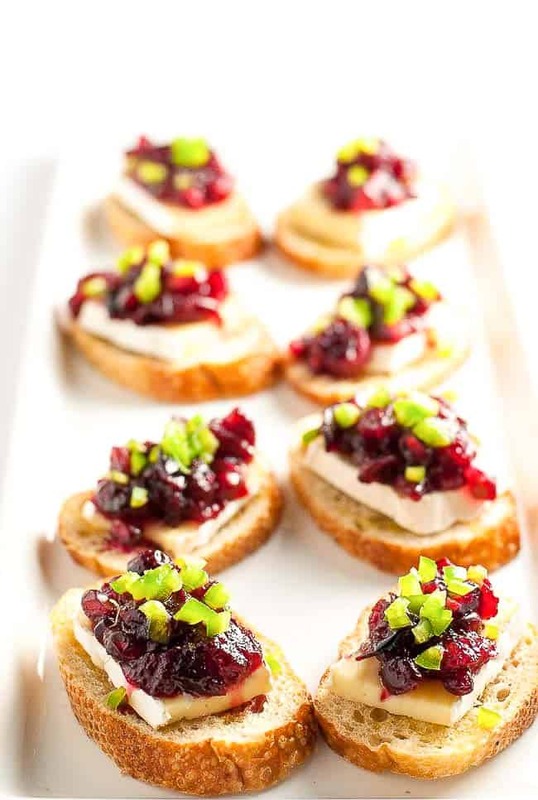 Crostini appetizers are a perfect solution for entertaining, particularly when you are not sure of your guests likes and dislikes. You can easily provide a variety of appetizers from which your friends can choose. And with good choices in gluten-free baguettes available now, your gluten-free friends can enjoy these mini bites, too. Making crostini is easy, but there are some pitfalls to avoid. Read on for 5 tips for making crostini to guarantee success. Use a quality bakery bread. Avoid heavy, dense breads that might be difficult to chew. Crostini appetizers are best on bread with a light texture. Slice it about 1/2 inch thick. If it’s too thin, it won’t support the topping. If it’s too thick, the appetizer becomes all about the bread and not the fabulous topping. Choose a gluten-free baguette for your gluten intolerant friends. Toast them for just the right amount of time. Arrange thin slices of baguette on a baking sheet and brush them (don’t just drizzle) with a little extra-virgin olive oil on both sides, then sprinkle with salt and pepper. Bake at 375°F. for 7 – 8 minutes, turning over halfway through until golden brown. The crostini should be slightly crispy on top but the inside should be tender. If the oven temperature is too low, the bread slices will bake and become hard. Too hard to bite politely! Season! Rub with a cut garlic clove or a cut lemon or orange. This step may seem insignificant but it increases the depth of flavour in the finished appetizer. Avoid overloading the toppings so they don’t fall off. Think carefully about how easy the crostini will be to eat, particularly if your guests are not seated. 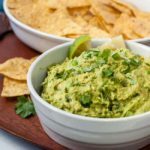 A crostini needs a base of some sort, like cheese, a spread, or guacamole to hold the toppings. Prevent soggy bread by adding the toppings just before serving. The crostini toasts can be made up to 3 days ahead of time and stored in an airtight container, but toppings that may turn soggy, like tomatoes or fruit, should be added as close to serving time as possible. 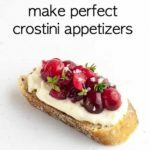 Try these crostini topping ideas, or create your own. Click on the photos below to take you to the recipes. 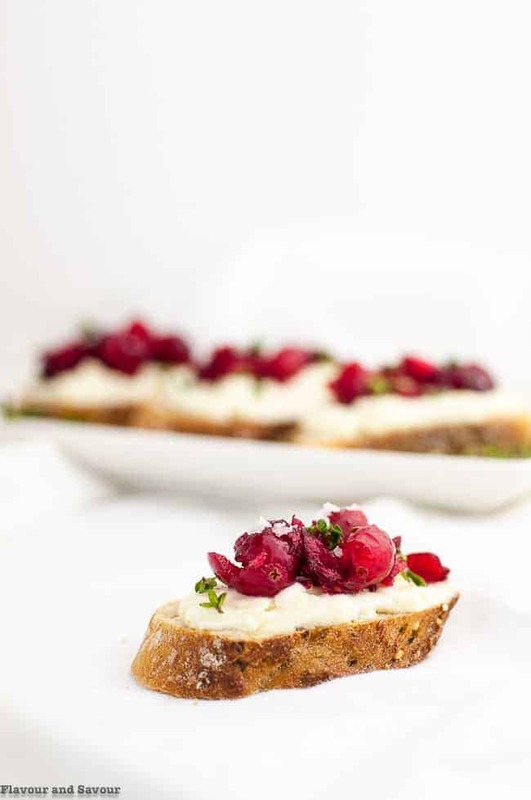 These tiny toasts have a light creamy ricotta spread and they’re topped with slightly sweetened fresh cranberry-orange mixture. They’re a little bit sweet and delicately salty at the same time. Oh so good! Find your inner Italian soul! Fresh figs and burrata cheese with a honey-balsamic drizzle give this appetizer a WOW factor! 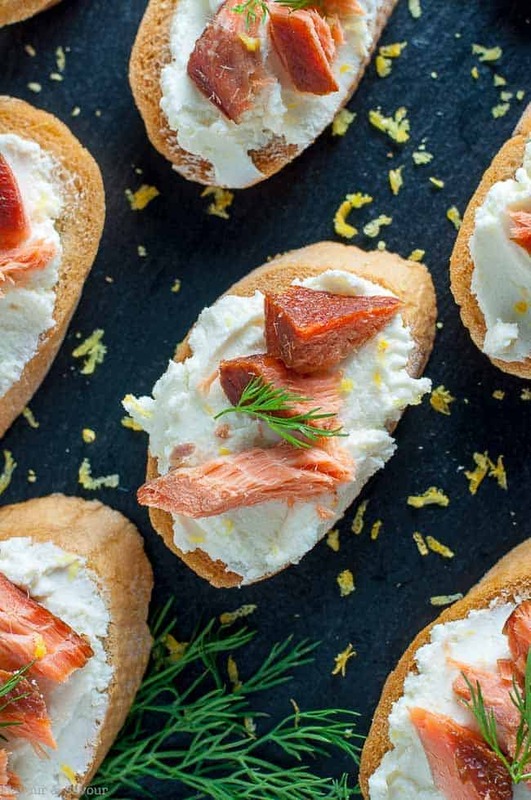 This Smoked Salmon Crostini with Whipped Goat Cheese is made with slightly sweet honey-lemon goat cheese and wild-caught smoked salmon. Sweet, salty and smoky, all in one bite. 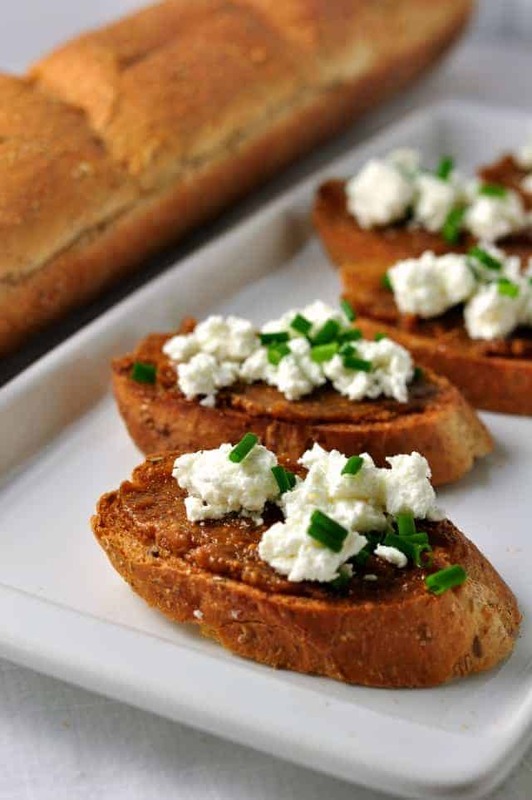 Whip equal parts of feta cheese and light cream cheese together and spread on cooled crostini. Then top with thinly sliced strawberries, gently pressing into the cheese so they don’t fall off. Next, drizzle with a little honey and some balsamic glaze. And finally, add a fresh mint leaf. Serve and devour! Need more ideas? Here are 5 more! 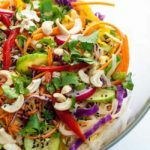 So simple, but insanely delicious! 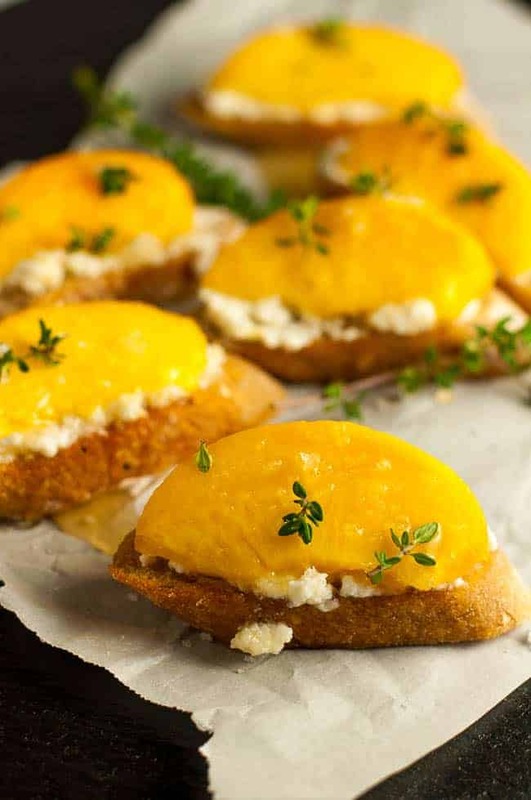 Smear some creamy lemon ricotta cheese on a thin slice of toasted baguette, top it with a slice of fresh, juicy peach, drizzle it all with honey and sprinkle with tiny thyme leaves. 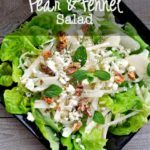 Soft, sweet warm grapes, nestled into creamy goat cheese, sprinkled with toasted hazelnuts, drizzled with honey, this is one you won’t forget! Full of flavour and ooey-gooey cheese. 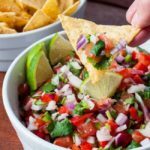 It’s an easy make-ahead appetizer that everyone loves. Not your everyday grilled cheese! A great way to use leftover cranberry sauce. This one is all dressed up in holiday colors! 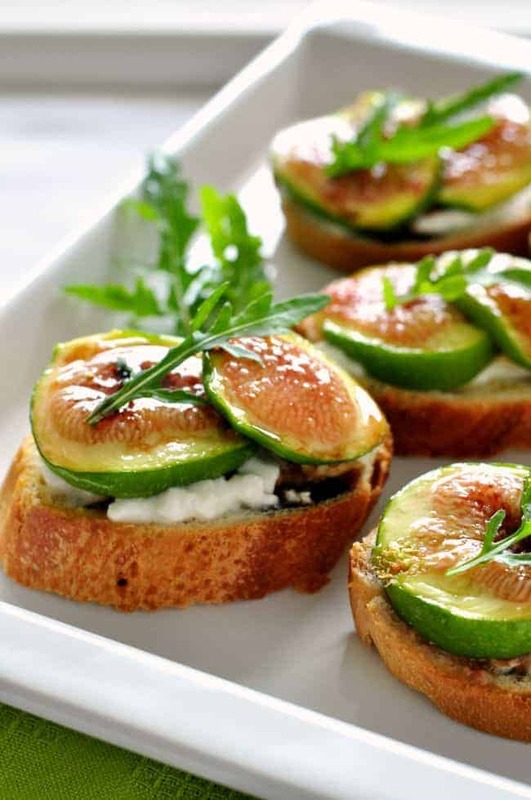 Sweet soft figs with a hint of citrus spread on a toasted crostini and topped with creamy goat cheese in this easy appetizer! Making crostini appetizers is easy, but there are pitfalls to avoid. Tips for making perfect crostini appetizers. Use a sharp knife to slice a baguette into 1/2 inch thick slices. Cut slightly on the diagonal. Remove from oven and rub with a cut garlic clove. This post was originally published in 2015. It was updated with new information and helpful tips. Absolutely stunning post Elaine! I can’t pick a favourite but those first cranberry crostini sure caught my eye. Thanks so much, Bernice! That one is a favourite with us, too. I always enjoy your beautiful appetizers, so this is a valuable resource. 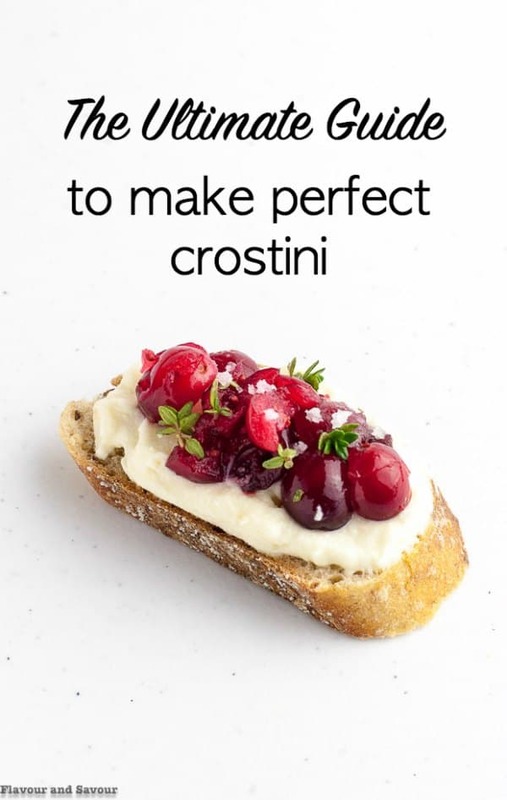 Thank you for the thoughtful tips to make the best crostini! Thanks, Cathy! 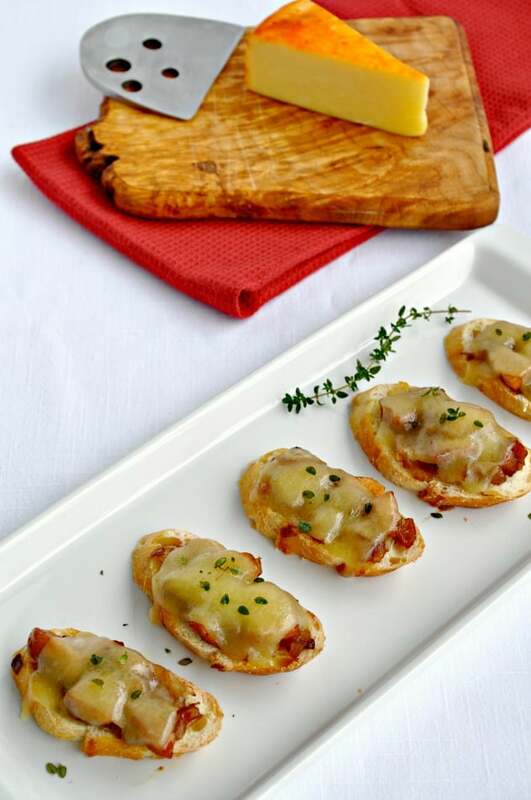 Crostini appetizers are fun to make, and there is no end to the toppings you can use! 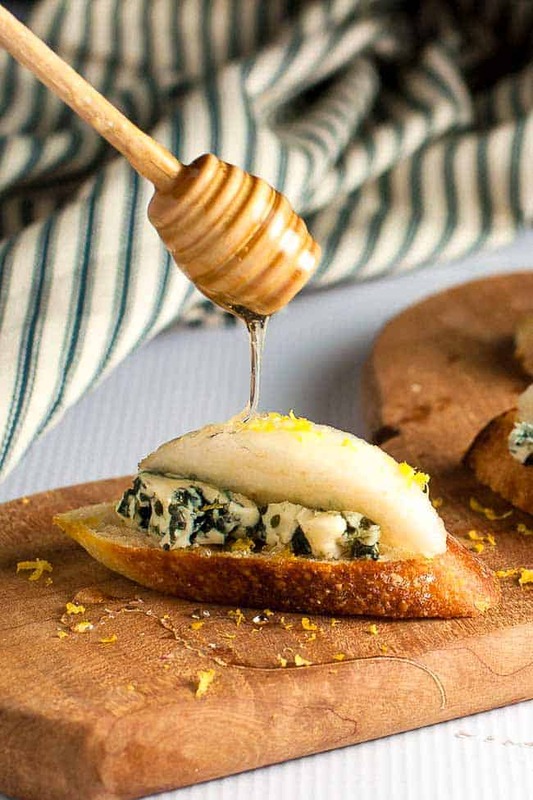 I love all these crostini recipes and your ‘bang on’ tips for making them! I only have one on my website, but eventually hope to have more. Yours are all so scrumptious!!! Thanks Terri! Crostini appetizers are fun to make, too. Always a great appetizer! 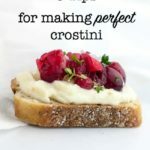 Love all of your tips for creating a perfect crostini and your suggested toppings sound delicious! I want them all! Hi Leanne, Agreed–everyone seems to like to munch on tiny toasts! Fun to make and fun to eat! 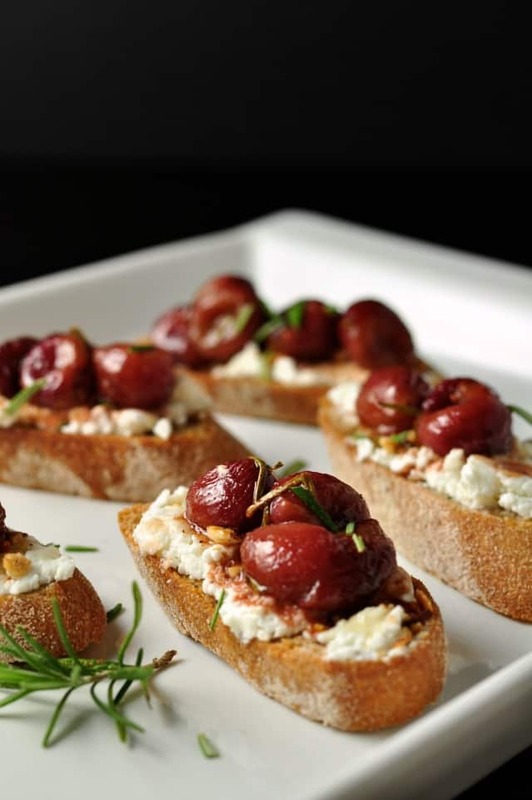 Hi Denise, that roasted grape and goat cheese crostini is a favourite in our house!